Each year, thousands of foreign trained lawyers sit for the bar exam in the United States. Such students face unique challenges ranging from onerous admission requirements to language concerns with the exam itself. This article provides basic information on the top five most common concerns foreign bar takers have and offers strategies to combat them. The first step in your bar exam journey is choosing the jurisdiction in which you will sit for the exam. This decision may be driven by a number of factors, including employment opportunities and the transferability of scores. For foreign trained lawyers, there are additional considerations in choosing a jurisdiction because a foreign trained lawyer may need to meet additional requirements for admission. Bar admission in the United States is controlled by the individual states. Thus, each state and the District of Columbia has a different set of admission requirements for both domestic and foreign trained lawyers. Choosing a jurisdiction can be a daunting process, but the first step is to educate yourself about the admission requirements for international lawyers in each jurisdiction. 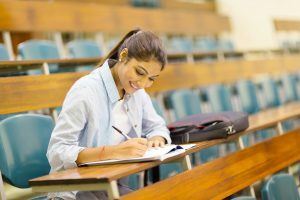 Many US jurisdictions will not recognize a foreign law degree and require students to complete the Juris Doctor degree in the US to be eligible for admission. On the other hand, a few US jurisdictions, including New York, California, the District of Columbia, Maryland, Georgia, Massachusetts, Illinois, and Texas, will allow an international lawyer to take the bar examination without a JD from a US law school. Even though they do not require a JD, most of these jurisdictions require a minimum amount of study at a US law school in an LLM program. At this time, only New York will consider whether an individual is eligible based solely on his or her first law degree. For a full list of which states allow foreign trained attorneys to sit for the bar examination, please refer to the National Conference of Bar Examiners’ Comprehensive Guide to Bar Admission Requirements. Once you have chosen a jurisdiction and applied for admission, you will need to develop a strategy to prepare for the exam. Often one of the first steps is to choose a bar review provider. For foreign trained lawyers, especially those for whom English is a second language (ESL), choosing the right bar review provider is especially important. For most foreign takers, two considerations will be particularly important: (1) whether lectures are recorded for self-paced review and (2) whether there is individualized feedback on essays. For many foreign takers, language barriers will be an issue. For that reason, live lecture may not be the best study strategy because it moves at the pace of presenter. Rather, you will want to have recorded lectures that you can pause, rewind, and review at your own pace. In addition, all students do best with individualized feedback on essays. This can be particularly important for those bar takers who are contending with English as a second language because it provides an opportunity for you to receive feedback on your writing as well as your legal analysis. If you anticipate significant language barriers, you may want to consider working with a private bar tutor who can provide you with extra one-on-one attention to work through those issues. You can find details on the private bar exam tutoring we provide here. One of the greatest challenges on the bar exam is managing time effectively. Indeed, on the bar exam there just never seems to be enough time! The time crunch can be compounded if you are reading and writing in a second language. The best way to learn to manage time on the exam is to practice as much as you can under timed exam conditions. You need to work through as many practice essays and multiple choice questions as you can under the time restraints that will be imposed during the exam. Many students spend far too much of their preparation time on passive studying like watching lectures or reading outlines as opposed to active practice. However, active practice under exam conditions is critical for bar exam success. Many foreign takers who are also ESL find that they struggle with English grammar. While minor grammatical errors will not count against you when it comes to bar exam grading, more significant problems can make the analysis hard to follow. That can result in a critical loss of points. Thus, for many foreign takers, focusing on English grammar will need to be a part of your bar exam study process. A few tips for improving your English grammar include: doing tutorials online, reading as much well-written English as you can, and working with a private bar tutor who can help you to identify and work on your grammatical issues. If you are an ESL taker, it is critical that you develop a plan to work through and tackle grammar issues as much as you can in your preparation and practice. The bar exam will be testing in American Legal English, which differs significantly from British Legal English and Indian Legal English. Thus, many foreign takers are concerned with mastery of basic legal English. If this is a concern for you, consider checking out one of the many legal English courses offered just for this purpose. You can find both in-person and online options to meet your needs. Mastering the basics of American Legal English can go a long way in helping you to master the terms that underlie the content you will be studying for the bar exam. Studying for and passing the bar as a foreign trained lawyer is a tremendous accomplishment. We wish you all the best on your bar exam journey!